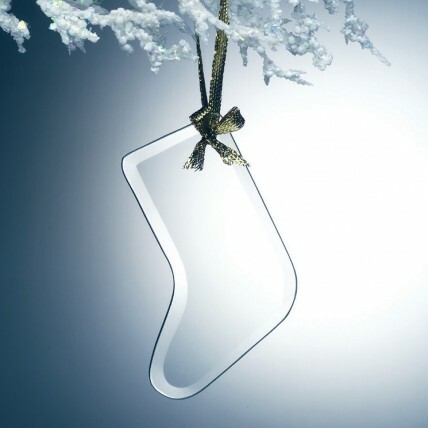 Our Glass Stocking Christmas Ornaments make wonderful personalized gifts! Made of jade glass, they measure 3.625" tall and includes 3 lines of engraving. These delicate ornaments are a great keepsake for Baby's First Christmas.